by Byron Bixler The concept of the shape-shifter has always maintained a significant role in the history of the horror genre. Personally speaking, the idea of entities pretending to be something they’re not has been a common trait in my own nightmares over the years. At the root of this idea is the fear of the unknown, of being misled, of being fatally wrong about the nature of reality. Also in this is the concept of a curtain being pulled back to reveal a side of the world that we never thought existed. We see this in the literature of H.P. Lovecraft and we see the shapeshifter theme in films like Invasion of the Body Snatchers. However, earlier this year, a film called They Look Like People came along and engaged these notions of horror in a way that I found fresh and somewhat profound. On its face, Perry Blackshear’s They Look Like People resembles a character drama more than a straightforward horror movie. The premise goes as follows. Wyatt, a 20-something who recently left a failing relationship, is receiving anonymous phone calls in the middle of the night in which a stranger warns him of a coming apocalypse. This impending event is said to be propagated by beings that are replacing the people around him one by one. Wyatt heads to New York City, where he reconnects with Christian, a childhood friend. Christian is trying to reinvent himself, listening to motivational tapes, working out more than usual and making a bid for a promotion at his workplace (as well as making a bid for a relationship with his like-minded employer). 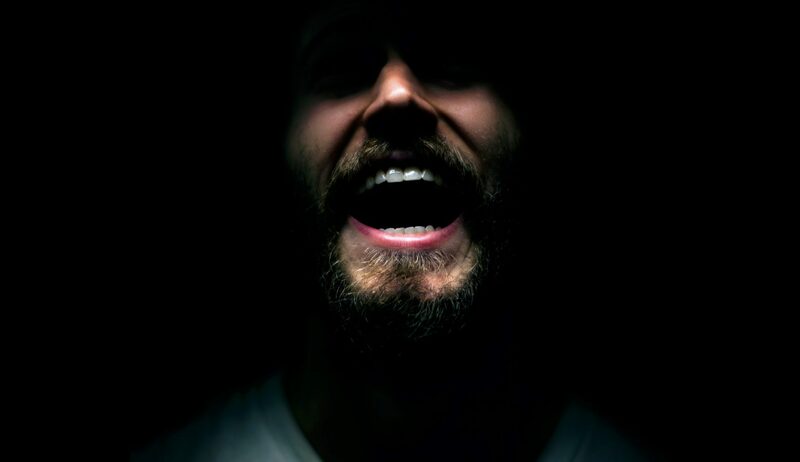 Wyatt stays with Christian for a number of days, largely keeping his theories a secret as he suffers from increasingly disturbing nightmares and tries to figure out whether or not he’s crazy. They Look Like People doesn’t foreground its horror elements. It is psychological in its way of limiting the key moments of fear to the subjective perspective of the clearly disturbed Wyatt. This protagonist fills the role of the unreliable narrator, as his encounters with the darkly surreal never seem to overlap with the experiences of the people around him. He’s very isolated in this respect and the moments that hint at something being amiss are isolated from each other, spread out and manifesting in unexpected moments throughout the film. Believe it or not, there is a difference between the terms “terror” and “horror.” “Terror” has to do with dread and anticipation, whereas “horror” concerns the revulsion that occurs after something frightening is seen, heard or experienced. They Look Like People is much more concerned with the second of these two terms. As I see it, the film is on the front lines of a new “movement” of micro-budget indie movies indulging in what I would call the “horror of the mundane.” In this mode of horror filmmaking, the setting, characters and situations of the story are mostly ordinary and lack any stylistically imbued suspense. The plot may appear nonchalant in its progression and there is generally more emphasis placed on interpersonal relationships and everyday problems. A “horror premise” typically frames the film, but rarely enters the story in a major way. But when the horror elements do come into the play, the level of shock is tremendous. For a second example, I’d like to bring up a second film made in this style. Directed by Carson D. Mell, Another Evil is about a painter who hires a quirky exorcist to examine his vacation home after an encounter with a pair of grotesque-looking spirits. As with They Look Like People, such a premise would lead one to envision a number of potentially intense moments. But the horror takes a back seat in the film, as the focus is instead put on the two oddball protagonists as they bond over humorous improvised stories. So, the question is: What is the purpose of approaching the horror genre in such an indirect way, and how can these films truly be called “horror?” In both films mentioned, the horror elements function on two levels. First, they manage to be more surprising and genuinely upsetting than what you might find in most modern horror films because of the grey area they inhabit in the plot. As I said earlier, the atmosphere of these films reflect that of real life and the more horrific scenes arrive without warning. The inciting incident of Another Evil comes directly after a mildly humorous sequence in which the protagonist attempts to scare off what he believes to be intruders trundling around his attic. He bickers with his wife before grabbing a fire poker and heading upstairs, where he finds a couple of paintbrushes lying on the floor and a small smudge on the wall. He walks back to the stairs and nearly has a heart attack at the sight of a pale figure crawling toward him, half covered in blood, lower jaw missing, gory entrails hanging from its mouth. This scene plays without a spooky score or flickering lights. It just happens (and doesn’t include a proper conclusion, instead cutting to the next day). They Look Like People features a similarly startling scene in which Wyatt spends an afternoon looking through some old photographs in his friend’s apartment. He reads a sentimental message on the back of one picture before flipping it over to reveal a younger Wyatt standing beside a ghoulish woman with a misshapen head, an unnaturally large mouth and no eyes. The shot lingers on the image for only a second before cutting to the next scene. These sudden disruptions of otherwise ordinary moments by images and entities that are wildly inconsistent with reality establish a sense of festering dread that makes the entire viewing experience incredibly tense. And this is where the “mundane” part comes in. By sporadically dropping in bizarrely incongruous scenes, the filmmakers subconsciously plant the seeds of fear concerning such frightening abnormalities repeating in the future. But these intrusions on reality serve a purpose that is greater than that of spurring visceral reactions. The strange occurrences are never explained or attached to a grander mythology, so their status as something utterly inscrutable is reinforced in the mind of the viewer. As abstract forces intruding on everyday life, they work to peel away the thin veneer of normalcy and the false perception of security that comes with it, leaving the characters and audience to examine festering and neglected insecurities that were formerly hidden. This is why fear is more meaningful in the “horror of the mundane.” When juxtaposed with stories focused on character and everyday issues, the vaguely developed ghosts and shape-shifters of each respective film come to stand in for more grounded fears. In the case of They Look Like People, Wyatt’s fear of a Body Snatchers-like invasion overlaps with worries about the future, success and losing old support systems. Much of the film has to do with striving for change and self-betterment, but having your expectations crushed in the process. Christian is the clearest example of such a struggle. As noted earlier, he constantly makes a point of telling others about how he’s changed as a person. He talks to himself in the bathroom mirror, scrutinizing his weaknesses. We see him lifting weights, offering kale chips to his friends and convincing Wyatt to join him for a game of basketball in freezing cold weather. Christian is apparently close to getting a promotion as well and views it as a major reflection of his personal growth. But nothing goes right for Christian. We learn of a recent engagement falling through when his fiancée cheated on him and left (perhaps spurring this sudden stab at reinvention). An initially promising relationship with his boss falls apart and instead of getting promoted, he’s fired from his job. All that effort and nothing to show for it. Childhood memories and talk of past failures dominate his conversations with Wyatt, who doesn’t display anything close to Christian’s dedication to self-transformation. As represented by his body-snatcher-based delusions and frequent nightmares, change is Wyatt’s enemy. He shows severe stagnation, failing to seek out work, and throwing away a bottle of medication he’s given to combat his frightening thoughts. One might say that he has subconsciously become disenfranchised with the prospect of “growing up.” After getting fired, Christian essentially joins him in this sentiment, choosing to drop his skepticism and play along with Wyatt’s doomsday plans. The notion of becoming a different person, of changing your priorities and habits is made literal in the body snatcher concept and the horror is made personal, as it reflects very real fears. I certainly know many others in the same boat as Christian and Wyatt. Facing an uncertain future, we seek positive reinvention, but fear ultimately assimilating into a bigger world of faceless strangers and new responsibilities, possibly losing a grip on the dependable support systems we hold dear. They Look Like People begins with our leading man waking in the middle of the night to stare into the shadow-covered face of his sleeping significant other. It ends with him embracing his best friend just moments after nearly killing him out of fear that he had become “one of them.” Once we cross a certain threshold into adulthood, the world and the people around us won’t look the same as they did before. Overcoming this fear ultimately forms the crux of the conflict in They Look Like People. Through the principals of the “horror of the mundane,” horror art has the capacity to dislodge us from the safe versions of reality we cling to, forcing us to confront the emotional challenges that lie beneath the surface. The monsters are metaphorical and the jarring, seemingly random detours into surreal territory serve a thematic purpose. The mundanities of everyday life hold just as much existential dread and underlying tension as the bombastically terrifying scenarios and creatures found in the average horror film.